Most Americans, certainly adults, know that getting behind the wheel under the influence of alcohol is extremely dangerous. The substance can significantly impair one’s ability to drive, impacting cognitive function, response time and motor skills. Yet, and despite the risk of death and legal troubles, thousands of Americans get behind the wheel under the influence of alcohol every day. With more and more states legalizing recreational cannabis use for adults, there is great concern about drugged-driving. There isn’t a strong detection method in place (short of blood tests) for determining if a driver is under the influence of marijuana. Each year, people lose their life behind the wheel while under the influence of marijuana, which means spreading the message about drugged driving is of the utmost importance. Until recently, the use of marijuana was illegal in California. Except for medical purposes. Which means that people who drove "high" knew what they were doing was, if nothing else, against the law. With legalization last fall, people in California have raised concerns about the potential of an increased prevalence of drugged drivers. While such concerns are not without merit, there may be another class of drugs that should be of greater concern—prescription opioids. The clear majority of Americans know, or have heard, about the dangers of opioid narcotics and the staggering death toll associated with opioid overdose. Current estimates indicate that around 142 Americans die of an opioid-related overdose, every day. However, you might not be aware that overdose is not the only path to premature death when it comes to opioids. Any of you in recovery for prescription opioids and/or heroin are aware of the side effects that accompany use. Such as severe drowsiness, often referred to as “nodding off.” It is not uncommon for people using opioids to fall asleep standing up. Keeping that in mind, the same is even more true when sitting down. Getting behind the wheel on opioids is never a good idea. Some people who are prescribed opioids may not be aware of just how easy it is to nod off using this dangerous class of drugs. They get behind the wheel thinking they are doing nothing wrong, after all the drugs were prescribed a doctor. A deadly miscalculation. As is evident by a new study showing that the rate of traffic fatalities involving prescription opioids has risen dramatically, HealthDay reports. 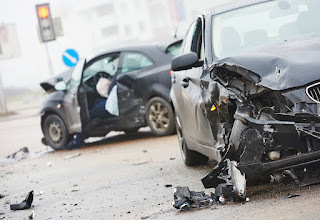 The research, published in the American Journal of Public Health, showed that traffic fatalities involving opioid painkillers rose seven-fold between 1995 and 2015. Much like marijuana, there is not an easy way for police officers to determine if a driver is under the influence of opioids. Given these new findings and the staggering prescribing rates of painkillers, the need for roadside testing methods is great. Prescribing opioids went from 76 million in 1991 to nearly 300 million in 2014, many of the people taking such drugs are not addicts. Opioids are coursing through the systems of millions of drivers, who must be made aware of the dangers. "The opioid epidemic has been defined primarily by the counts of overdose fatalities," said study co-author Dr. Guohua Li, a professor of epidemiology at Columbia's Mailman School of Public Health. "Our study suggests that increases in opioid consumption may carry adverse health consequences far beyond overdose morbidity and mortality." The new study, together with previous research on the dangers of opioid use, is ample cause for concern. If you are taking opioids in ways other than prescribed, or believe that you have become dependent on this form of narcotics, please contact Hope by The Sea. Our highly-trained staff is experienced in helping people with opioid use disorder break the cycle of addiction and get on the road to addiction recovery. You can reach us 24-hours a day, 365-days a year.